Posted by Eddie & filed under Military/Aircraft, Mountains & hills, July 21 2009. 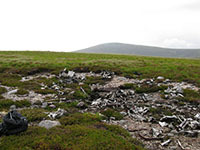 Last week I travelled to the Cairngorms and walked into the mountains through the pass of Ryvoan, camping on flat boggy moorland near the summit of Bynack More. The weather was not ideal, with lots of rain and thunderstorms so it was a pretty wet night (although I stayed dry in my new Terra Nova Laser Competition tent). 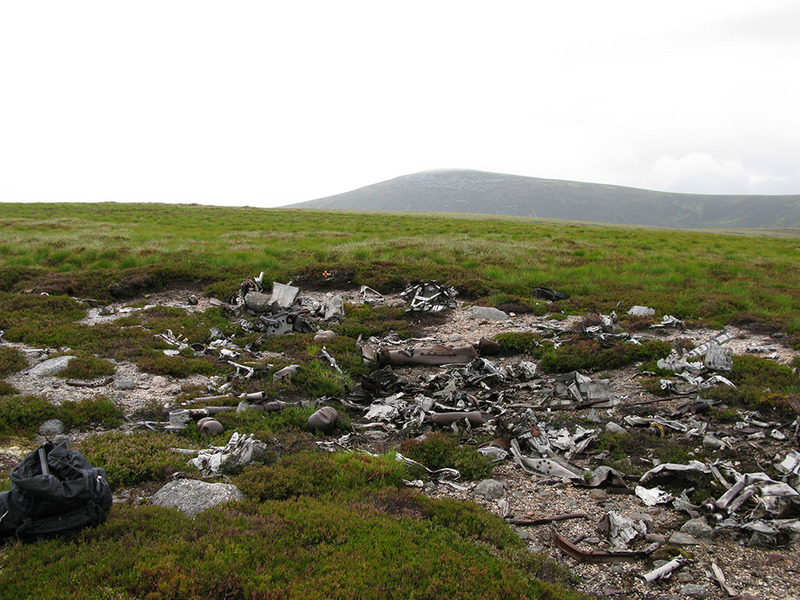 In the morning I visited the site of a Wellington bomber wreck (my second Wellington in as many weeks!) that was not too far from where I camped, a short walk across the boggy moorland. This site is fairly unusual in that it apparently went undiscovered for 60 years and has only recently (since 2004) been known about. You can see the photos of the wreck site that I took on my website here. looked at that tent, you could get a fortnight in the south of france for the price of it!!!!! Is it made of something special ie mink! Just checked out your tent: gear envy! It actually aches inside when I think about it. Less than 1kg. Well worth the cash. Approved.